The teaching and learning of drama: ideas about interculturalism, creativity and craft - key concepts informing the drama curriculum - are interrogated and re-theorised for the classroom. Making and performing drama in school: the fundamental processes of reading and writing plays for performance are explored, along with the potential of dance to enhance and extend students' experience of dramatic performance. 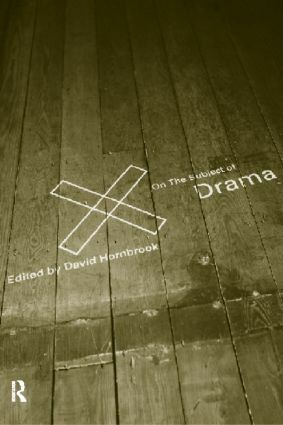 Watching and understanding drama: ensuring the curriculum is appropriately balanced between the production and reception of drama, this last section emphasises the role of students as audience - for both live and electronic performances - and the development of a dramatic vocabulary.